Samantha Aponte is new to Tulsa and hails from Miami, Florida. She began her career in education when she joined Teach for America in 2015 and was selected to teach in Oklahoma City. During her time in the corps, she taught 5th grade English Language Arts on the South side of Oklahoma City. 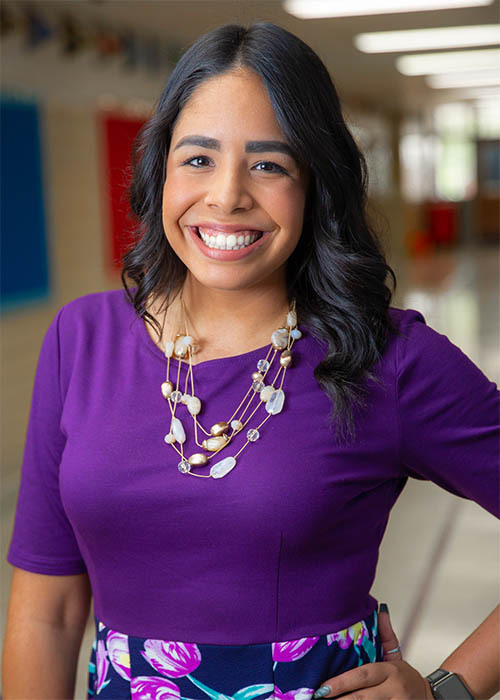 For the last 2 summers, she has served as an Upper Elementary Literacy advisor for Teach for America's national institute in Tulsa, and began her work with Tulsa Honor Academy as a 5th grade ELA teacher last school year. She currently serves as the Literacy Specialist at THA. Ms. Aponte graduated in 2015 from The University of Florida with a BS in Advertising and a BA in International Studies.